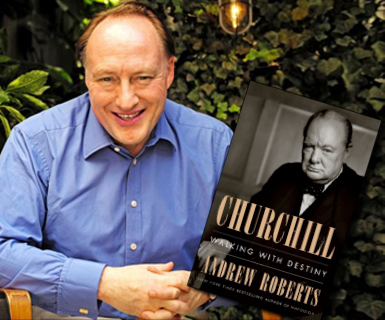 Andrew Roberts is the bestselling author of The Storm of War: A New History of the Second World War; Masters and Commanders: How Four Titans Won the War in the West, 1941-1945; and Napoleon: A Life, winner of the L.A. Times Book Prize for Biography. He has won many prizes, including the Wolfson History Prize and the British Army Military Book Award. He frequently writes for The Wall Street Journal, and is the Roger and Martha Mertz Visiting Research Fellow at the Hoover Institution at Stanford University. He lives in London and often lectures in New York.